I've only ever played my trusty old 4 string basses, so this was a first 'toe in the water' into the land of both extended range and 'budget' basses for me. Initially I rather dismissed the lower cost end of the market after listening to the views of other musicians with more experience than me of 'entry level' priced instruments, until I stumbled upon BassTheWorld's review of the B-650 on the usual video site everyone knows, got intrigued and then checked out the reviews on here. Although I used to gig in the past, nowadays I mainly work on recording my own tunes at home, usually overlaying multiple bass parts in a looper or DAW. A six string bass seemed a good idea to access the extended range and make separation in the mix of parts a bit easier. Ordered Thursday and it was was delivered to my door in Scotland the following Wednesday. The outer box was pretty badly damaged in transit but Thomann had double boxed with plenty of air pillow packaging protection, so the inner box and bass were totally unscathed. I'd also communicated a few times before and during ordering via email and online chat and found Thomann to be efficient and courteous. Full marks to Thomann so far then, as far as I'm concerned. The bass arrived without any flaws in the finish, a lovely straight neck, intonated and with a medium action. Nut slot depth just right (surprising to me for a factory instrument) and it was even very nearly in tune too. 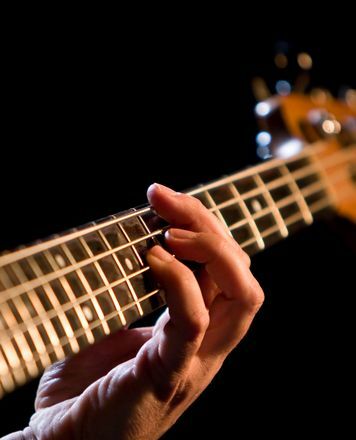 Frets are level with no sharp edges and the bass is fairly lightweight. The neck is very thin in profile, which happens to be my preference and the width very manageable due to the 16mm string spacing. My current 4 stringers are standard 19mm, or 17.5mm at the bridge in the case of my old Rickenbackers, so I wasn't sure how I'd get on with the narrow spacing, but the 16mm or so of the B-650 actually feels very comfortable. I prefer a low action and was able to lower things a bit without fret buzz. That also required a bit of intonation adjustment with the, unfamiliar to me, monorail bridges, but once I (eventually) saw the angled grub screw partially hidden beneath the string on the black bridge pieces, that was straightforward. A big selling point for me was the active passive pull pot, a tone knob which worked in passive mode and the bass's ability to still work even without a battery in. I was quite surprised to find that in passive mode not only does the treble roll off work but the other tone knob works as a bass roll off. Quite surprising features considering even some expensive basses don't do some of these things. Volume knob has a smooth gradual decrease, but the tone knobs are subtle in effect over most of their travel with a big change over the last few degrees of rotation. I expect that's due to the chosen taper type of the pots, but there's plenty info online about that if you want to change the pots if you don't happen like that. The sound, as others I think have said, is 'modern' but the actives are quite transparent and noiseless. I usually lean towards using the passive mode (if there is one) on active basses, but here the active mode, to my ears, doesn't have the 'too clean' harshness I find with some actives, so it's quite usable if used. The bridge pickup is quite 'middly' in tone and you can get quite an aggressive growl from it with it's trebly edge. The neck pickup is smoother sounding and also 'fat'. The blend pot gives the expected 'scoop' at the centre detent but it occurs at quite a narrow window of rotation. The pickups arrived at the bottom of their travel on mine, but set at the correct distance for the action the bass came with. If you want to try a super low action, depending on how you approach that, it may require a little work there. Though taking into account the cost of the bass, I don't regard that as a criticism here, that would be totally unreasonable, rather more of something to potentially be aware of if that is common (all basses at any price will have some variation). String tone and volume balance I found to be quite even across strings. The hardware isn't going to be the most expensive at this overall price point obviously, but it all works and the fundamental body, neck and frets are just lovely. Certainly considering the cost of the bass to begin with, there's also scope for modders to spend a bit more on it, upgrading bits if desired or simple individual fettling to preference of what's already there and end up with a very nice bass at still a modest price. For ¤158 I'm very impressed indeed and couldn't be happier. The BassTheWorld's video review I referred to earlier, having now experienced the bass, I agree with 100%. It's just plain fun and one of those pick it up and can't put it down instruments. I'm delighted with it and simply very glad I bought it. What more can I say. this is an instrument i am sort of familiar with . but the cost is a huge appealing factor hear .. cheap budget poor quality instrument here is not the case . this like all the harley benton range are superbly constructed ..well balanced ...reliable look good .. feel good ... and definitely sound good .. because you'd have to be a bit silly to buy one ..ie five string .. then a six string ..
i guess because i had the confidence knowing it would deliver . the active pre amp makes it very responsive to all style of playing ..
weather finger style or plectrum .. in fact it makes it easier . like i said it feels great to hold ..and for a six string neck i was very surprised to see and feel how easy it was still was to play . All the hardware is robust ..
the tuning keys are very precise . the neck is a very easy feeling to it .. this eases play . It can also be used passive or active ..which is handy adding a wider variety of sounds . the bolt on neck i particular like ..the rigidity enhances the sustain through the body . the paintwork is of a high standard ..and looks up there with some of the more expensive guitars .. I don't really have any negative comments on this instrument really . i am happy with this guitar as i was happy with the previous ..
a very reasonable price ..
great for gigging ..recording .. a great all rounder . i have no regrets ..and would easily and happily recommend this guitar to anyone . another great priced instrument from H B .
three basses i have from H B and impressed with all of them at a great price as well ..
hope this gives you some insight to low end priced bass guitars . i'm happy with mine ..
ID: 317321 © 1996–2019 Thomann GmbH Thomann loves you, because you rock!